Carbon dioxide emissions will need to be taxed as high as $27,000 per ton by the end of the century, which would amount to a $240 per gallon tax on gasoline for Americans, a United Nations special climate report said. 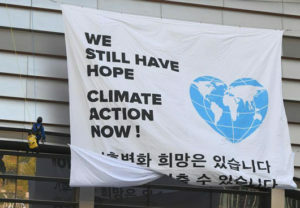 To effectively limit global warming, societal changes that are “unprecedented in terms of scale” are needed, said the Intergovernmental Panel on Climate Change (IPCC) report. By 2030, a carbon tax would need to be as high as $5,500 per ton – the equivalent of a $49 per gallon gas tax, according to the report, which was released on Oct. 7. The IPCC said the ultimate goal is reducing emissions enough to keep projected warming below 1.5 degrees Celsius, which is the goal of the Paris climate accord. Appalachian State University environmental scientist Gregg Marland told The Associated Press that the IPCC report is so unrealistic it’s akin to an academic exercise wondering what would happen if a frog had wings. “I just don’t see the possibility of doing the one and a half,” he said, noting that for now even limiting warming to 2 degrees Celsius seem unlikely. President Donald Trump withdrew the U.S. from the Paris accord last year. A resolution opposing carbon taxes was passed by Republicans in Congress in July. Democrats called for a tax on carbon dioxide in their 2016 party platform, “but haven’t made much of an effort on that front since the failure of cap-and-trade legislation in 2010,” the Daily Caller noted.